Can you buy a home with Bad Credit? There are millions of prospective home buyers with bad credit that may think they have little or no options available to them to purchase a home so they rent instead. There is still the general belief that in order to purchase a home, you need to have 20 percent down and have good, if not stellar, credit history. I want you to understand for every credit problem there is a solution. Just because you may have some late payments and credit problems there is hope so put your fears about bad credit aside. You most certainly can buy a home with bad credit. But you're going to pay more than a borrower who has sparkling credit. In Some cases if you are unable to get approved for a loan, or if your bad credit will put you in a price range that does not line up with your Dream Home & make a mortgage too expensive consider setting up a FREE Consultation for ways to improve your credit score. Be aware that the recent economic troubles have caused lenders to tighten their standards for loaning money and providing mortgages. However, it is not impossible. Buy your first home with bad credit by accessing federal and local resources, and saving for a larger down payment. As Realtor in Hilton Head, Bluffton, Savannah, Pooler, and surrounding areas it is my duty to my clients to guide and get them pointed in the right direction. Case in point: Paying off some collections can actually have a negative or adverse effect on your overall credit score. There are FREE programs that help people with credit challenges purchase their dream home. You have options that will assist you in buying a home with bad credit. To find out how your credit really stacks up get started today and request a FREE Consultation & Credit Analysis but either way, make a commitment to yourself to obtain the American Dream of Home Ownership. 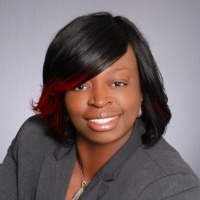 Carletha Frazier Singleton is a Real Estate Broker with eXp Realty in SC who have specialties in the area's of Short Sales, New Construction, First Time Home Buyers, Credit Challenged Buyers, Military Housing and Relocation, and more. Carletha is a native of Bluffton SC and understand the ever changing Real Estate Market. Call Carletha today at 843.227.0054 to get more information on buying a home. *Note there are loans available not based on your credit score, Ask me about them.